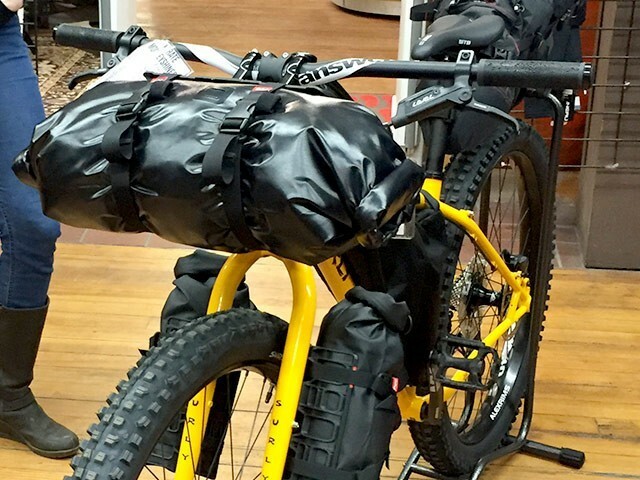 Bike Touring: Ideal bicycles are designed around traditional touring bike specifications but hardtail mountain bikes with smooth tires can work too. Riders carry equipment in panniers for extended trips camping in road accessible areas with amenities. 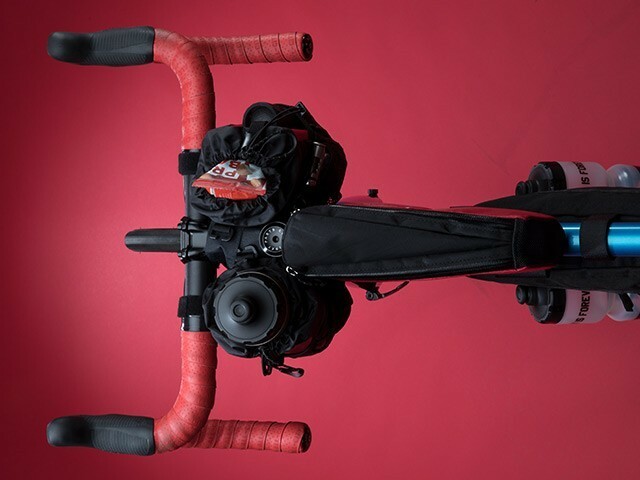 One of our resident outdoorsmen, Joe Benedict, offers things to think about before you hit the road or trail, so you’ll feel comfortable when you stop pedaling for the day. Do you know how to properly set this thing up? Try it before you go. This advice goes for tents, bivys, hammock systems, and especially tarps. Learn the quick-release trucker’s hitch knot before tarping. It makes setup and take-down a breeze, allows you to get seriously taught lines, and makes readjustments simple. Is your gear in proper working order? When was the last time you used your tent? Was it stored wet for a long period of time? Discover shortfalls or issues with gear before you hit the road. Rain, wind, and storms happen. Are you comfortable being bound to a bivy, hammock, or tarp throughout the night? Know yourself and your preferences. A proper sleeping bag and pad will keep you warm and happy. Make sure your bag is sized appropriately, especially in cooler temps. Bags that are too big require extra body heat to fill the space and make for a cold night. To extend the range of your bag, think about an insulated pad or a sleeping bag liner, or simply wear extra layers to bed. Choose your stove and cookware based on the type of food you plan on eating. Fresh food takes larger cookware and more robust camp stoves to properly get the job done. Many liquid fuel stoves are much better at simmering and allow for more in-depth preparation. Riding all day most definitely works up an appetite, and a large gourmet meal can really hit the spot. If you’re out for extended periods, look at purchasing a multi-fuel stove. Pressurized canisters may be difficult to find along your route, but white gas, kerosene, and unleaded auto fuel can be found most anywhere. Be prepare for the worst and expect the best. I prefer merino base layers for the warmth, comfort, and anti-stink properties. I always bring an insulated puffy jacket. Ditch the heavy micro-fleece and upgrade to a synthetic or down puffy. They compress and are so light that you won’t regret bringing them. I also bring a lightweight hat and gloves, too, in case the temps drop. While most tours won’t require you to fetch water from streams and lakes, having a lightweight backup is a safe idea. Chemical treatments are the cheapest and lightest options. For a quick and super-effective option, look at a SteriPEN UV purifier. It can treat water in as little as 48 seconds. Bring along extra water containers. Platypus collapsible bottles and tanks give you extra capacity and pack down to nothing when not in use.